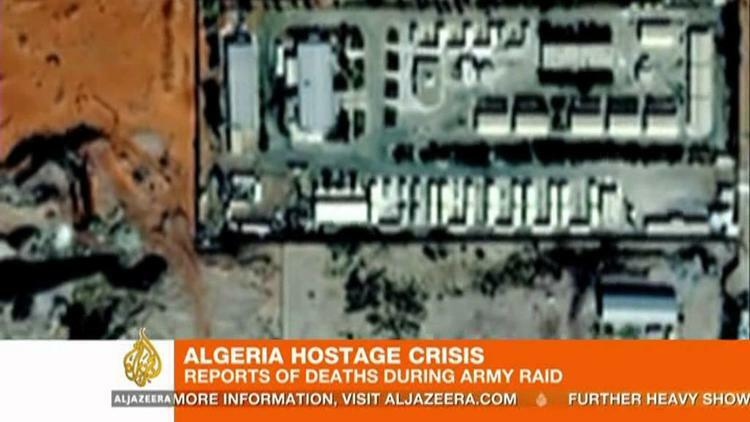 Reuters reports that the Algerian government’s intervention against the hostage crisis at a BP natural gas plant in southern Algeria has left 30 of the hostages dead. British Prime Minister David Cameron seemed visibly upset with the hamfisted Algerian operation, and British foreign ministry officials complained about not having been warned the operation was coming. The relatively secular-minded Algerian elite brutally crushed Muslim fundamentalist movements of the 1990s, leaving tens of thousands of people dead in a dirty war. This heavy-handed military raid, which inadvertently got over two dozen of the hostages killed, has to be pronounced a failure. In the no-man’s land of southern Algeria, for a very long time tribes, criminals, smugglers and desert fundamentalists have had free rein. Since the BP gas plant produces 10% of Algeria’s annual export income, you would think Algiers would bother to provide it with some security. Although the hostage-takers said that their action was in revenge for the French intervention in Mali, the operation had to have been plotted out for much more than a week, and they were just invoking a political cover. In fact, they are a kidnapping operation that makes a lot of money from collecting ransoms on European tourists in southern Algeria. Meanwhile, Agence France Presse’s excellent profile of Mokhtar Belmokhtar, the leader of the group that took the hostages, shows that he was kicked out of al-Qaeda in the Islamic Maghreb last fall for his criminal tendencies. The French news agency concludes that he is just a gangster in search of profit, not a committed fundamentalist. Belmokhtar went off to Afghanistan in 1991, the last year of the fight against the Soviet-backed puppet government of Najib. He returned in 1992, when the Algerian civil war was beginning between the secular generals and the Islamic Salvation Front (French acronym FIS). FIS contested elections in 1991 and won parliament, but he alarmed generals closed parliament and sent the MPs home. The subsequent struggle became a brutal civil war that killed perhaps 150,000 Algerians. Belmokhtar joined the Armed Islamic Group, an al-Qaeda affiliate funded in part by Usama Bin Laden from the Sudan. But in recent years Belmokhtar, whatever his youthful commitments, has become little more than a thug.